This week I have managed to make some progress on my wips. 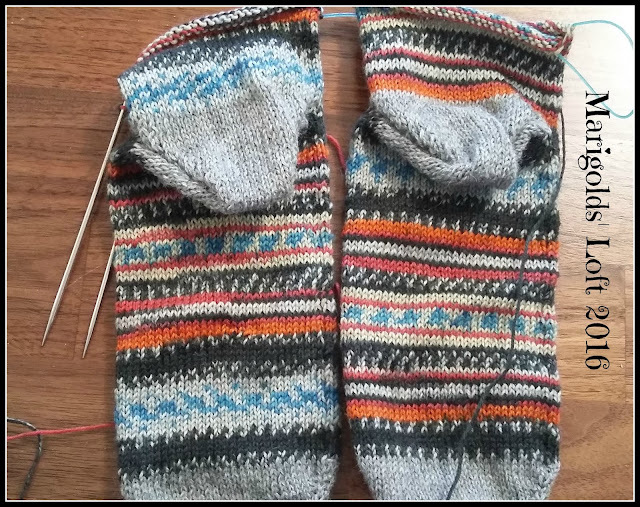 I worked a bit on Hubby's socks and have turned the heels and am working my way up the legs. 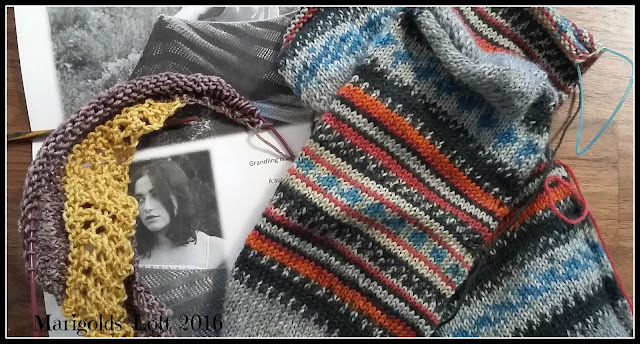 I will be knitting until my Regia yarn is finished and then will make a small cuff. I managed to work the first 3 sections last night and am so far enjoying the project. I am looking forward to beginning with my October Socks on Saturday and hope you will consider joining me? Love the colors in the socks!! 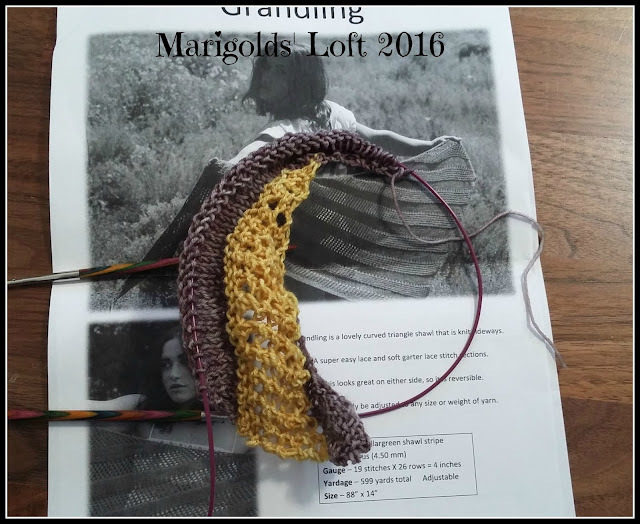 And you chose perfect color combo for the shawl - it will be beautiful! Grandling looks like an interesting pattern. I love the colors. It looks great and is quite mindless, I just love that about this pattern.